Emma Hart, a beautiful woman of modest means, gained fame through her liaisons with English aristocrats. While married to Sir William Hamilton, British ambassador to Naples, she openly carried on a stormy romance with the naval hero Admiral Lord Nelson. In her youth she was one of Romney's favorite models. 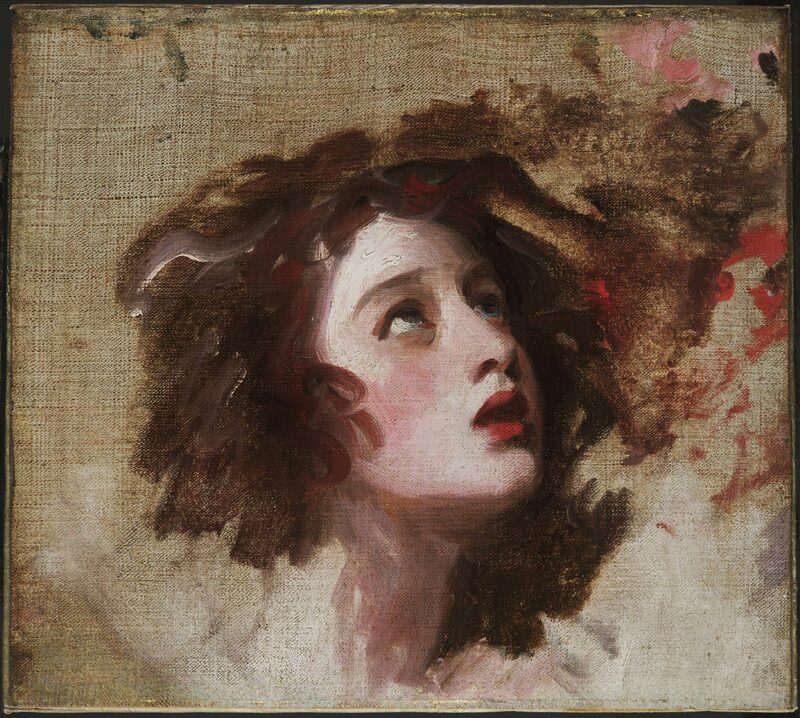 She is shown here as Miranda, the heroine of Shakespeare's Tempest, at the moment in act I, scene 2 when she begs her magician father Prospero to spare sailors shipwrecked in a storm he had raised.